The last four weeks have been some of the busiest, most challenging and most exciting we ever known! With the expansion into our all new crystal and jewellery store (next door to our original shop) now complete we finally get to see years of planning and hard work manifested in 3D. No more talking about it! We’ve done it!! Easy, it has not been. We haven’t worked this hard since our early twenties, when setting up our first shop. An emotional roller coaster, quite literally blood, sweat and tears… and at times joyous highs! 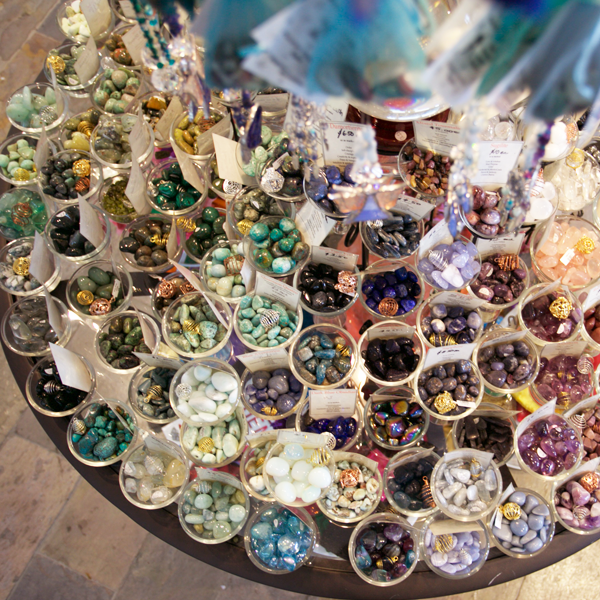 For the first time in twenty years of owning our shop, we finally have purpose-built cabinets and professional lighting, to best display all our beautiful crystals and jewellery. We’ve been able to bring everything up to eye level (no more getting down on knees to see things tucked away out of sight) And most importantly, we have created a more open floor plan for better flow when we’re busy. Our new much larger bookstore is also taking shape and will be complete in a week or so, although it is already open and much improved. Our inspiration for these new spaces is the same as it was over fifteen years ago, when we first relocated the shop to our current location. We wanted to give you (our loyal clients) more space in which to meet, relax, share, enjoy, learn, grow, and dream. Have we succeeded? We invite you to come take a fresh look at our dream – a bigger, brighter space with a more relaxed atmosphere and more cozy seating so you can enjoy our space with friends. You should find everything is now more accessible and easier to get to even when we are busy. At times we have felt incredible pressure and self-doubt, we have learned that it’s difficult to always stay positive when you’re pushing so hard day after day and week after week; Will we be able to pull it off? Will it work the way we envisioned? Will live up to expectations? Flopping into bed in the wee hours, after yet another fourteen-hour day, wondering if we’ll be able to get out of bed, let alone back it up again in the morning. To have continued trading seven days a week all the way through this momentous process has been an amazing achievement and one we are very proud of. A big thank you to our practitioners for overlooking the odd bit of banging and drilling here and there. My appreciation also goes out to all of you. 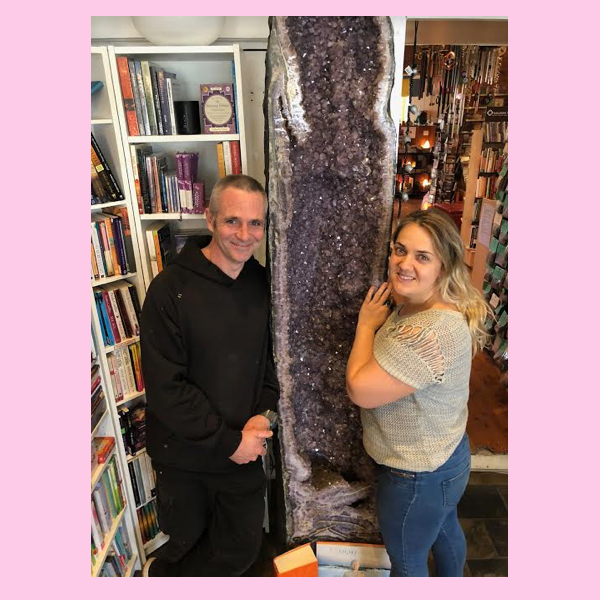 Our beautifully patient and understanding customers- especially for all the kind words and encouragement that have kept us going over the past five weeks. None of this would be worthwhile or possible without you! Each and every day people tell us how wonderful our staff are: Hand on heart we couldn’t have done this without them! It’s been the most rewarding team building exercise; each of them believing so fully in what we do, going above and beyond to help us birth Qi into this next phase. I humbly invite you to come and check out all the changes we’ve made. I truly hope you’re impressed and continue to enjoy our ever evolving space. Please join us for our 16th Annual Open Day! Now over a full weekend!! Sat 27 & Sun 28th October 10am-5pm both days! After 15 years, Qi Open Days have become a much-loved Annual Event. Not a week goes by in store without someone mentioning our open days with so much fondness. This year we were keen to respond to feedback and lessons learned from previous years to make this our best Open Day ever! What is better than one Qi Open Day? This year we have decided to run The Qi Open Day over two days, with free talks and workshops now running on both Sat 27th & Sun 28th. This new format allows for longer, more engaging presentations, whilst giving you more opportunity to join us for a day… or two of discovery! There is no need to book in for talks and workshops. Simply turn up for ones that interest you or bring a friend and make a day out of it and go to all of them! Mini-Treatments have always been a popular component of our Open Days, but they have also greatly contributed to logistical demands on the day; with people standing around in long ques waiting to book in and see practitioners. This year we have decided to keep the focus of the day on Talks and Workshops. Rather than offering mini-treatments on the day we are now offering them for whole month following the Open Day. $10 for 15 min Mini-Treatments can now be booked directly with participating practitioners. Whilst this will require you to come in on another day, it will free you up to go to more talks and workshops and should also mean you’ll get to enjoy your mini-treatment without all the fanfare of the Open Day going on in the back ground. Our new larger, more open floor plans should make for a less crowded, more relaxing day. Please join us for a free Lunch and your chance to win our door prize worth $500! We look forward to showing you around our new space!